Presto is an emerging street art and studio artist from Brazil. The artist has been painting on the street since 1996 and in time has developed his unique visual language and an array of unusual characters that has become the base of his recognizable style. Presto often adds color to old wood or rusted materials to highlight the contrast between these deteriorating materials and his vivid characters that are always fresh and full of life. But he also creates prints and spray paint and aerosol on canvas artworks that have fund their way to numerous private collections around the globe. Presto was born in 1976 in São Paulo in Brazil. The artist has been attracted to art since his early childhood especially in comics book art which he collected at the time. In the early 1990s, murals and graffiti that flourished on the facades in his hometown captured the young artist’s attention and determined his future calling. In 1996 the artist began creating his imaginative, narrative and character-based artworks on a variety of surfaces all over the globe to the joy or street art lover and enthusiasts. 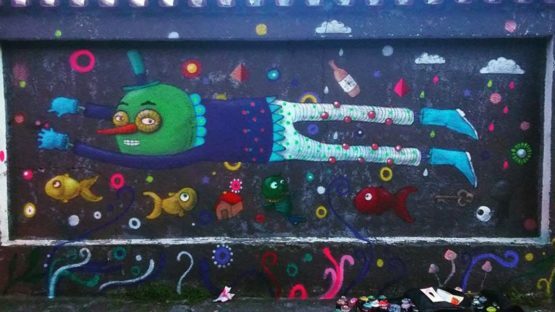 His connection to the world of street art was further developed during his education at Carlos de Campos school, that represents the home of many prominent street artists from Brazil like Alex Hornest (Onesto), Speto, and Os Gemeos to name a few. 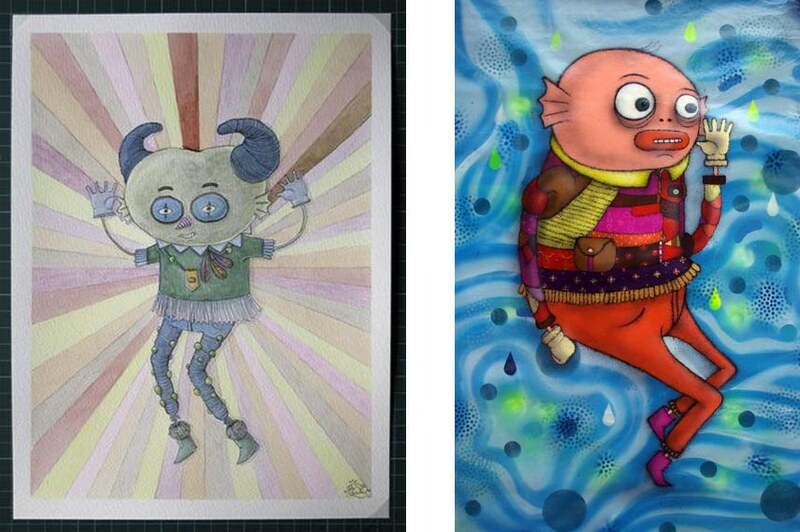 In time, the artist improved his skills and added new elements and techniques to his intricate works. 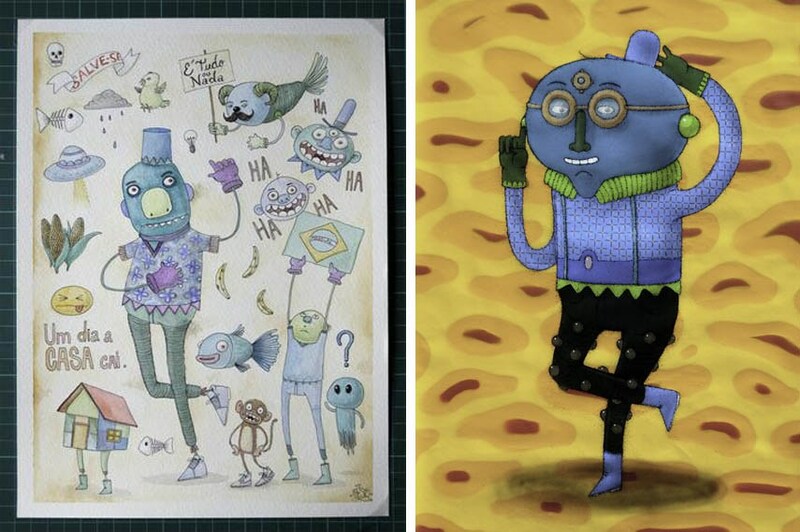 By employing an array of vivid colors the artist creates a world of his own full of cartoon-like characters and interesting scenarios. These wide-eyed a pointy nose characters slightly reminiscent of snowmen are experiencing an array of positive emotions including joy, excitement, amusement, and confidence. Presto’s complex murals move carelessly between colors, to simultaneously create harmony and shock within the viewers that can become overwhelmed with the amount of details presented in his works. The artist is equally busy in the studio as he is on the streets and throughout the years he has created an abundance of canvas works and prints featuring his recognizable subjects. 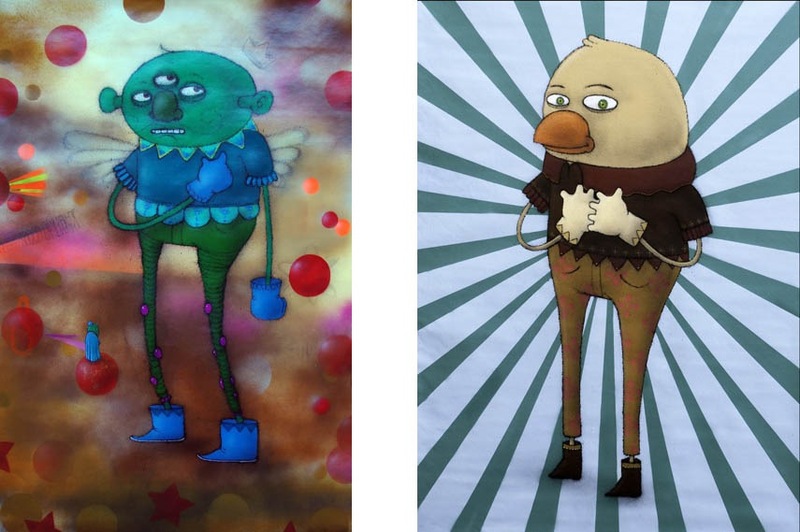 The artist uses spray paint and acrylic on canvas colors to set his characters indoors thus creating the artworks that retain the connection to the streets. His intriguing subject and a unique visual language encourage the viewers to explore the different possibilities of life and transports them into a new dimension where essence, thought, and matter are indistinguishable. The artist is represented by Vertical Gallery. Presto lives and works in São Paulo in Brazil.